Fundraiser for Baltimore Society of Model Engineers by Baltimore Society of Model Engineers : Balt. Society of Model Engineers Needs Locomotion! Balt. Society of Model Engineers Needs Locomotion! Hi! 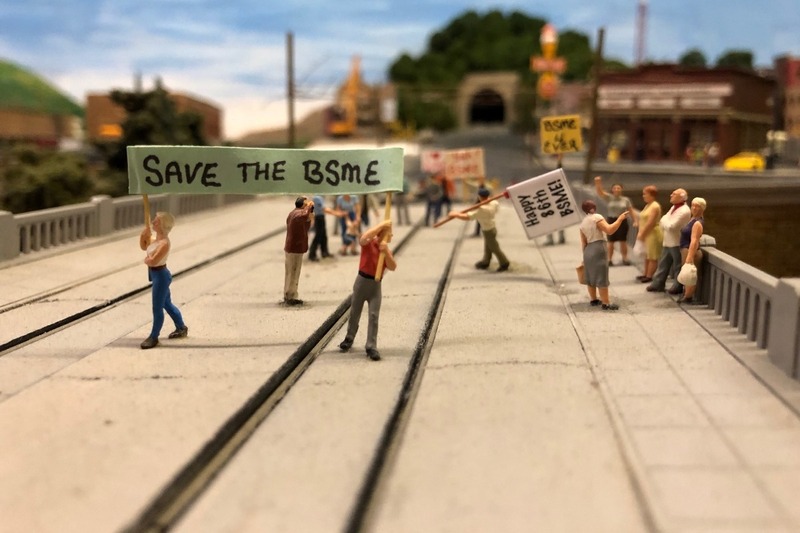 We are the Baltimore Society of Model Engineers - the third oldest modeling society in the world and the oldest organization in the US focused exclusively on model railroads! We were founded on March 4th, 1932 and have been located on West Saratoga Street in Downtown Baltimore since 1952 - to save you the arithmetic - that’s 67 years! 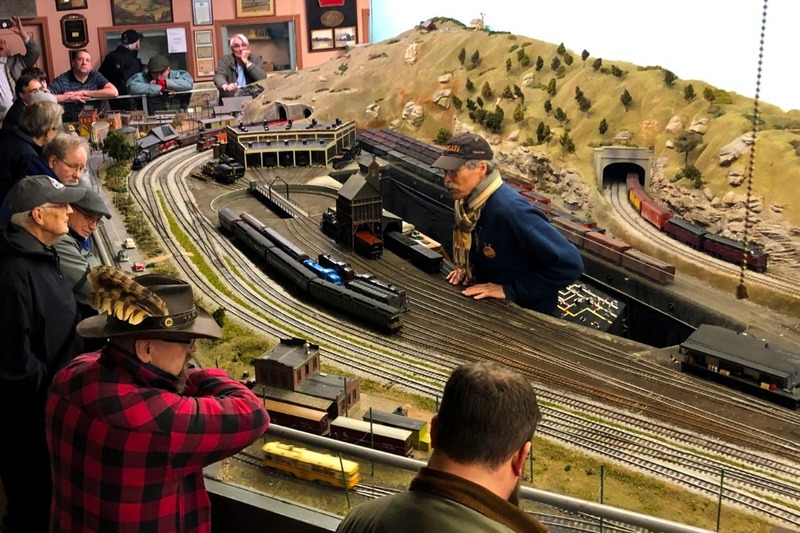 In that time, the Baltimore Society of Model Engineers have been running at full steam, building two of the largest permanent model railroad layouts in the entire Mid-Atlantic region. While we’ve been fortunate over the past 6 decades to run along smooth rails, this past month has been full of signal delays, a tender emptied of its coal, and a pretty serious derailment of our operations. Now, more than ever, we need your help to get the Baltimore Society of Model Engineers back on the rails and running at full steam! Normally a festive season for our organization — full of open houses where we welcome hundreds of visitors and raise money through donations — the month of December had been the most challenging of our storied history. During our open house in November we experienced a major electrical failure in our building that resulted in a total loss of power to not just our layouts but the entire third floor we are located on. To make matters worse, as we worked to make the repairs so we could open our doors again to visitors, we learned that the beloved building we’ve called home for the past 67 years, was edging closer towards a contract and we’ve been asked to find a new home and vacate the space by April 1st. Since we are funded almost entirely by member dues and donations received during the months of December and January we are struggling to scrape together enough money to fund this complicated journey. We need you to stoke our coals and make our firebox hot again! ■ The packing, moving and storing of our artifact collection, archives, and extensive library. ■ The planning, design and benchwork for new HO and O scale sectional layouts. ■ The purchasing of new track, DCC control systems, switches, and scenic supplies. $5 - The Passenger: You ride the rails for the views and the fun! - We send you our sincere gratitude for helping to support us! $25 - The Switchman: You make sure we are heading down the right track! You will receive a thank you card featuring a photograph from our Archives. $45 - The Brakeman: You help us get down the mountain safely! - You will receive a unique thank you card made from duplicate copies in our large model railroad magazine collection. The Baltimore Society of Model Engineers was formed on March 4, 1932, at height of the Great Depression, by a small group of dedicated modelers answering an advertisement posted by George Nixon in the January 1932 issue of Model Maker magazine. The Modelers met in Nixon’s home in March to form the club with Nixon as the first president of the Society. Throughout his long life, George Nixon (1907-1995) was very active in the hobby and in railroading in general. In addition to the Baltimore Society of Model Engineers, he founded the Baltimore Streetcar Museum, the Baltimore Chapter of the National Railway Historical Society, and the Friend’s of President Street Station, now the home of the Baltimore Civil War Museum. After their initial meeting Nixon and fellow founding members of the Baltimore Society of Model Engineers took a bold step, they leased a space at 1613 N. Chester Street. 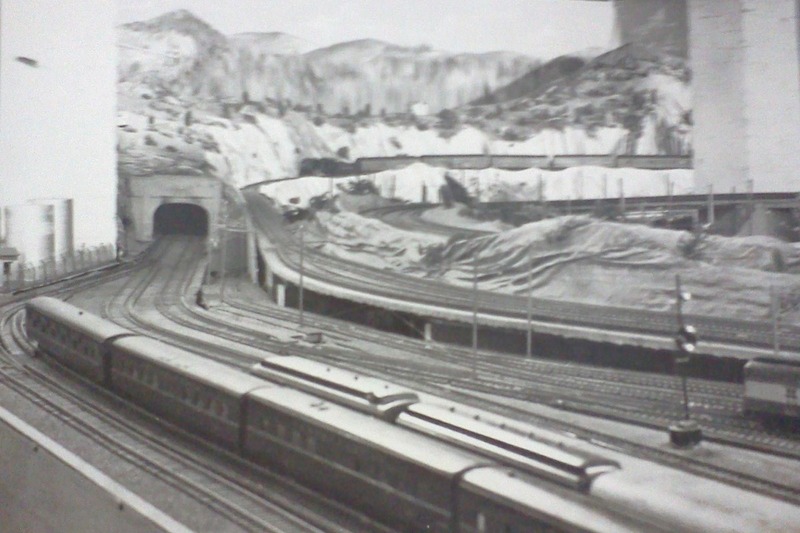 They had their first operating layout by 1935, at this time it was O scale and outside third rail. Their first public open house was in December 1938 starting what was to become an annual holiday tradition. The club was incorporated in 1937 as non-profit corporation in the state of Maryland, and remains that today. 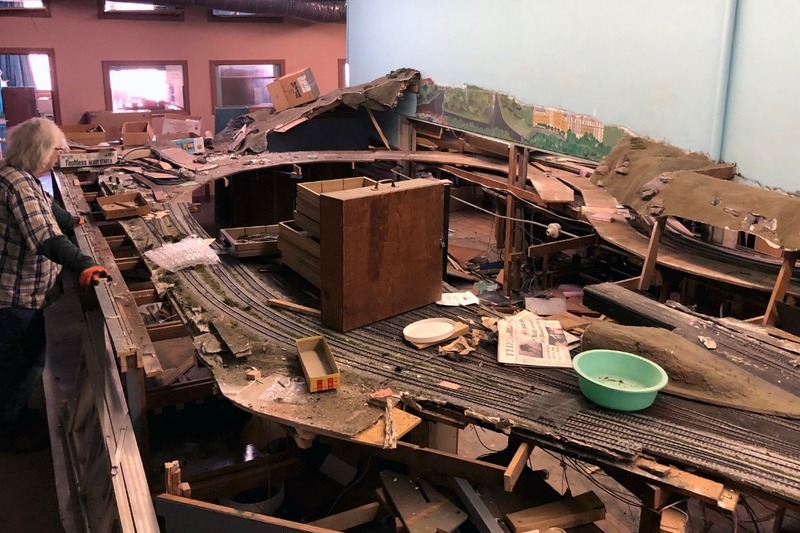 In March of 1944 the Society merged with an HO scale club and soon after the BSME decided to move to new headquarters at 3305 Greenmount Avenue to accommodate two layouts that were built up and running by December 1944, ahead of the busy holiday season. To celebrate, then Governor of Maryland, Herbert O’Conor presided over a "Golden Spike" ceremony celebrating the completion of the layouts and the opening of the open house season. The Society was forced to move after three short years on Greenmount when they lost the lease on the space. They found a new home in the basement of a Baltimore Post Office at 1217 W. North Ave. While in the Post Office the Society was unable to put on its annual Christmas shows due to fire marshal restrictions who said the space was too small for the number of visitors who usually attended the shows. 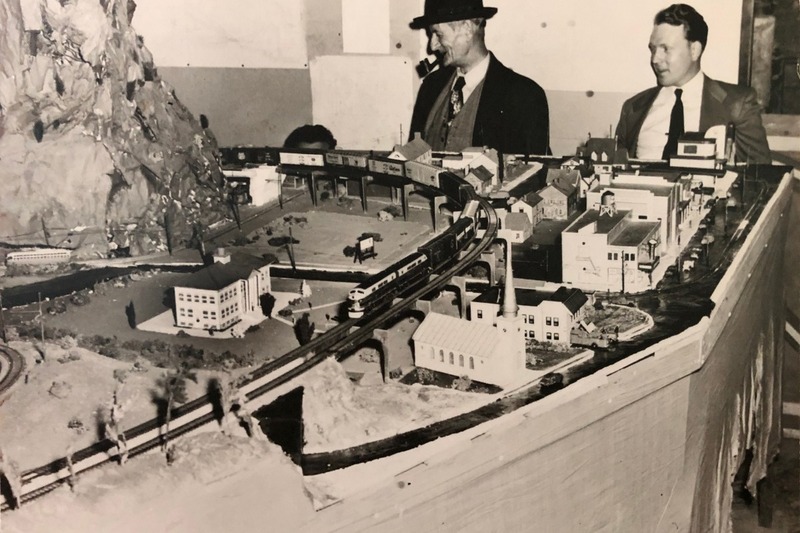 Although two layouts were built in the post office space, only those modelers who attended the annual anniversary celebrations had a chance to see them. 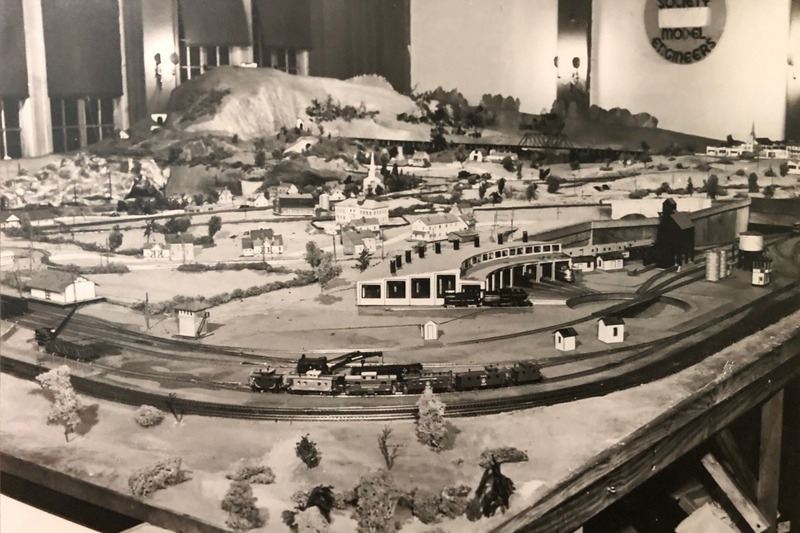 As the annual public holiday shows had become a Baltimore tradition and it was the main source of income for the club it was decided a new location should be sought, and in October of 1952 the Baltimore Society of Model Engineers left North Avenue for their next home. The current location at 225 W. Saratoga was leased in November 1952. Again two layouts were built, one for the HO modelers and another for the O scale modelers, each measuring 12’ wide by 60’ long. Even though the space was large (30x70 feet) there was talk, even then, that the space wasn't adequate for an O scale layout. The layouts have changed over the years, the most notably in the 1980s the O scale layout was totally rebuilt, going from outside third rail to standard two rail. The HO scale layout has undergone numerous scenic updates through the years including a full reworking of the urban scene featuring many Baltimore landmarks and a modernization of the operating layout to DCC (digital command control). While it is tremendously difficult for the members of the Baltimore Society of Model Engineers to say goodbye to their home of 67 years, they take comfort in knowing this isn’t the first time the Society has been forced to move and see this as another challenging but exciting chapter in their storied history. The members are all very anxious to get this move behind them so that the real fun of planning and building their new layouts can begin. Your support is critical to the writing of the next chapter in our history and for getting the new layouts up and running by the 2019 Holiday Season! The time has come! The hardworking and dedicated members of the Baltimore Society of Model Engineers have salvaged, sorted, packed and moved out of 225 W Saratoga Street, our home since 1952, to our new interim location four miles north in a historic cotton mill in Woodberry. The past three months have been intense to say the least. Following our inspiring Last Run event at the end of January, our members have been putting in a monumental effort to pack and move out 67+ years’ worth of archives, artifacts, layout sections and library collections. The back-breaking work and long hours on the nights and weekends by our amazing team has been bolstered by the nostalgia of the Society’s long history being hoisted onto our shoulders, the awesome potential of our future, and the remarkable generosity of all our donors. Your generous support over these past few months has been AMAZING and in this last week on W Saratoga Street, we received a very large anonymous donation that moves our fundraising needle past our initial GoFundMe goal! This is MASSIVE!!! But there is still a ton of work to get done to usher in the next chapter in the long history of the Baltimore Society of Model Engineers. So today, with the closing of one chapter and the opening of another, we are challenging ourselves, and our supporters, with a stretch goal to raise another $5000 to match the anonymous donation we received over the weekend. Will you consider making a $10-25 donation today? This stretch goal will enable us to restock and modernize our workshop in a big way. Most of our tools have been with us since we moved into the Saratoga St space and we have relied on members to bring in their own power tools for bigger jobs. We hope to change that with this goal. We also hope to add some new digital fabrication options to our modeling tool chest. This stretch goal will enable us to buy a small desktop laser cutter and a 3D printer for our computer savvy modelers and will help us build out our STE(A)M based education goals for junior members. To achieve this next goal we need your help. Please share our GoFundMe campaign with your friends and family and please consider making a donation today to help open this new chapter in the Baltimore Society of Model Engineers History in truly epic form. For those of you who have donated already, once we get our new location organized and setup we will begin producing and sending the rewards. Keep your eye out for a message from us in the coming weeks to confirm names and addresses for sending out the thank you gifts. On behalf of all our members, thank you all so so very much!! LET’S DO THIS!! Wow! This has been a week! Thank you all so much for the support to the campaign and your help in getting the word out. Today has been a very emotional day for us. We hosted our "Last Run" around the HO and O scale layouts with a large number of members past and present there to say goodbye and share their memories at 225 W Saratoga. The trains where chugging all day long as were the conversations and day dreaming about what's next. The visitor turn-out was equally fantastic. We hosted so many visitors, young and old. We heard so many great stories about visits to the Society dating back to the 50's; of multiple family generations visiting over the years - grandparents who first visited when they were children, brought their own children when they became parents, and now bring their grand-children. We also had a large number of visitors who were just discovering us for the first time, surprised to learn we existed, let alone for so long. It was heart wrenching, but at the same time incredibly inspiring. The support and the momentum being built both at our "Last Run" and here on the GoFundMe campaign, is humbling, but we still have a long way to go. Please continue to share our story far and wide, with friends and family, so we can hit our goal and start this next chapter strong. On behalf of the Board of Directors and all of our dedicated members, thank you so very much!